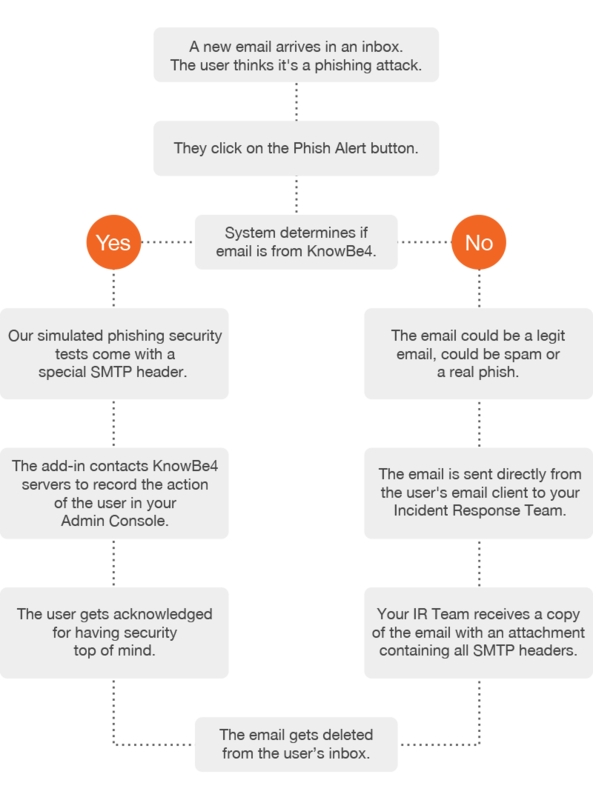 KnowBe4’s Phish Alert button gives your users a safe way to forward email threats to the security team for analysis and deletes the email from the user's inbox to prevent future exposure. All with just one click! And now, supports Outlook Mobile! When the user clicks the Phish Alert button on a simulated Phishing Security Test, this user’s correct action is reported. When the user clicks the Phish Alert button on a non-simulated phishing email, the email will be directly forwarded to your Incident Response team. Has fully customizable button text and user dialog boxes. 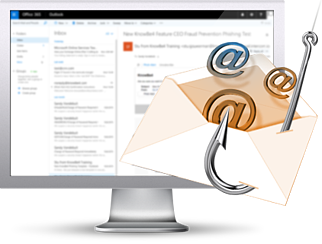 Reinforces your organization’s security culture, users can report suspicious emails with one click. Incident Response gets early phishing alerts from users, creating a network of “sensors”. You can change the receiving email address and add a prefix. You can change the user dialog box text regularly to coordinate with your security awareness program. When your user opens email client, the add-in pulls in your updated messaging. 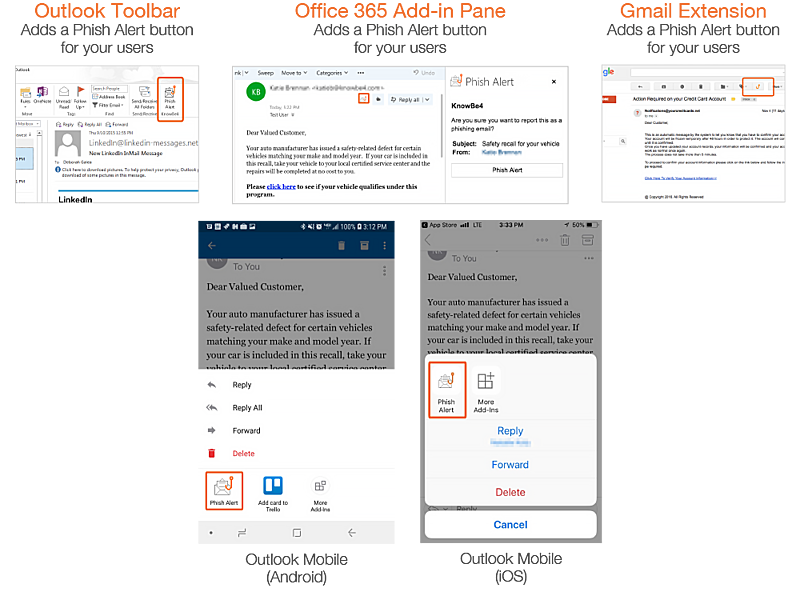 Easy deployment via MSI file for Outlook, G Suite deployment for Gmail (Chrome). 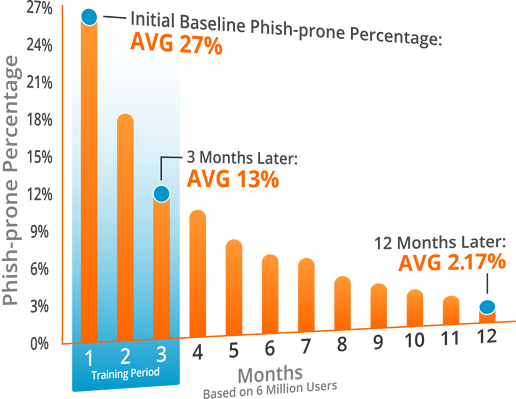 Continue to push down your user’s Phish-prone percentage. 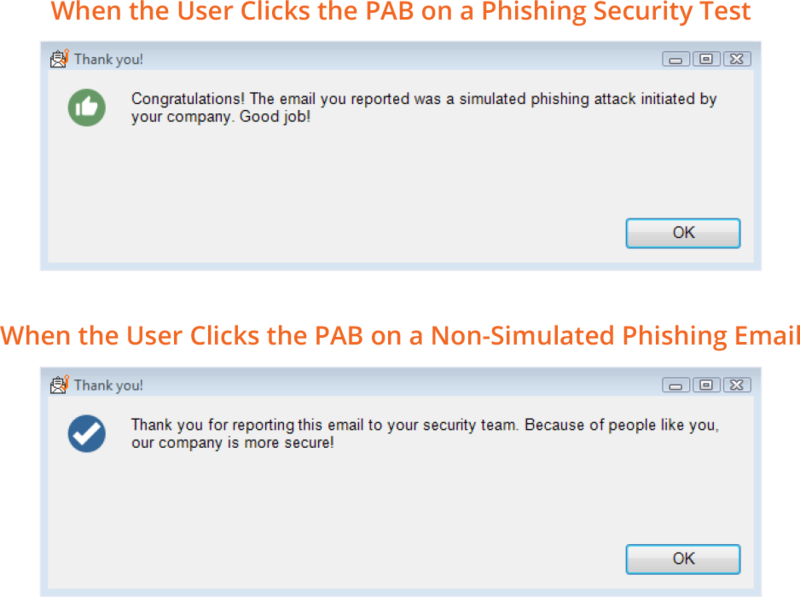 Reporting of both simulated and real phishing emails involves users even more. Your Incident Response Team can act faster on possible real phishing attacks. Included in your Security Awareness Training at NO extra cost! Want to try the Phish Alert button for free?